3 large bedrooms and 1 1/2 bathrooms, fully furnished apartment. Great location, walking distance to restaurants and all tourist attractions. Fully equipped kitchen, hardwood floors throughout, and great decor. Beautiful views of the town basilica and water falls. Private apartment but may hear street noise during holidays, great for families or groups. Newer building with new fixtures. Cable TV, wifi, clean linens, and towels are all included. 4th floor walk up with no elevators. This is a pretty basic vrbo rental. Expect to buy everything you need for cooking right down to the salt and pepper. Location is excellent, however the traffic and external noise is constant. Cleanliness of the place was great. Judy was very accommodating. Thank you for your review. 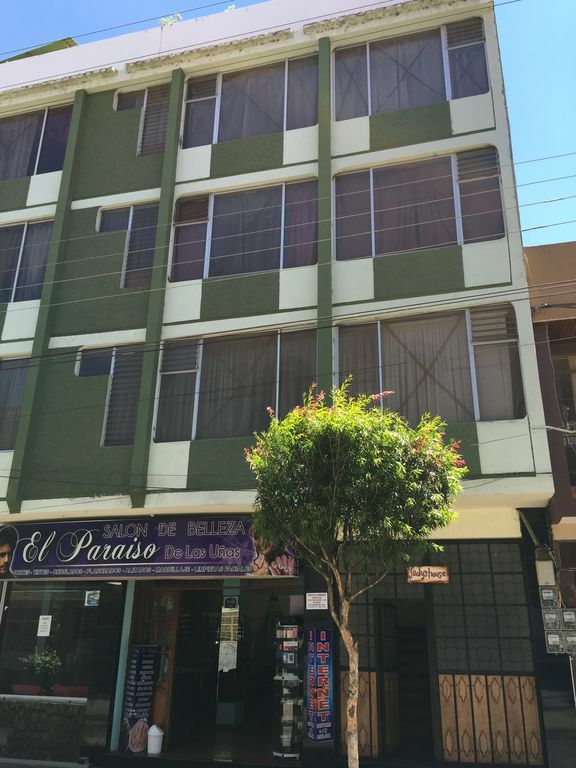 We are centrally located and Baños is a very popular town therefore it may be noisy, especially during holidays. Please do let us know before your arrival if you need us to buy cooking supplies and we will do our best to accommodate you. Banos de Agua Santa is located about 3 1/2 hours south from Quito by bus. 3 bedrooms, 1st bedroom has 1 queen bed, second bedroom has 2 twin beds, 3rd bedroom has 1 double bed and 1 twin bed. Current rate is for 4 guest occupancy. We can accommodate up to 7 people for an additional $10 per night/per person. No additional guests overnight, no smoking, no parties, and no pets.